From LAMPO to LAMPO3: The evolution to a purpose designed premium EV. 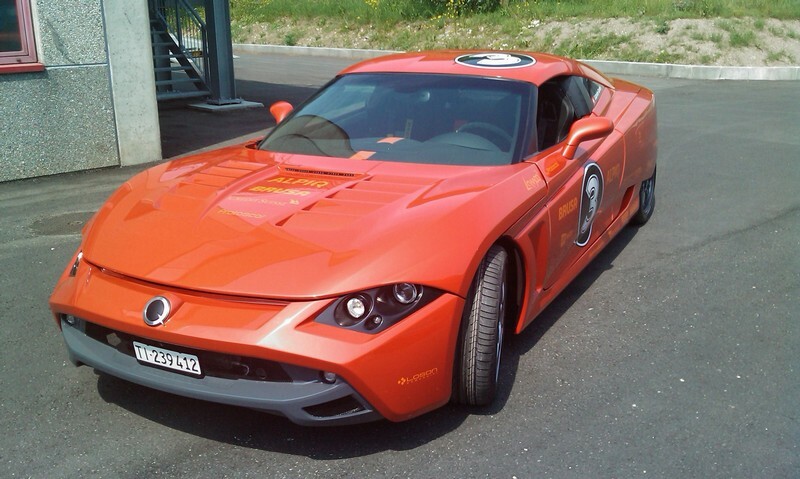 LAMPO3 is a battery powered electric demonstration sports car developed on the base of 30.000 km lessons learned with its predecessors LAMPO and LAMPO2. It features a purpose designed light weight chassis, a 2+2 coupé design and a fast charge option. The BRUSA powertrain (3 motors with a total output of 420 kW) guarantee extreme performances without compromises in terms of efficiency. LAMPO3 has been developed by Protoscar (www.protoscar.com), a Swiss company working for OEMs, power utilities and governments, and since 24 years specialized in the development of CleanCar projects. 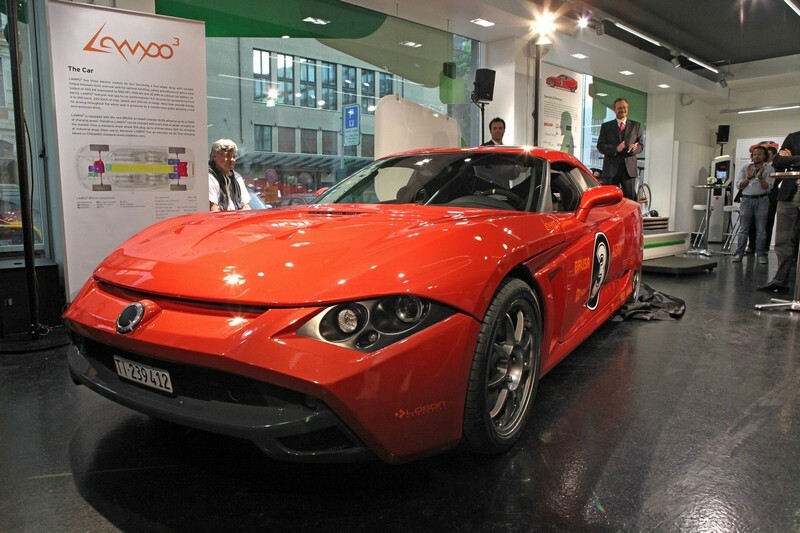 LAMPO3 has been unveiled the 11 May in the M-Way Shop in Zürich. LAMPO evolution LAMPO3 is the 3rd sports EV prototype realized by Protoscar, the first company worldwide having developed three generations of 4WD sporty EVs within three years. 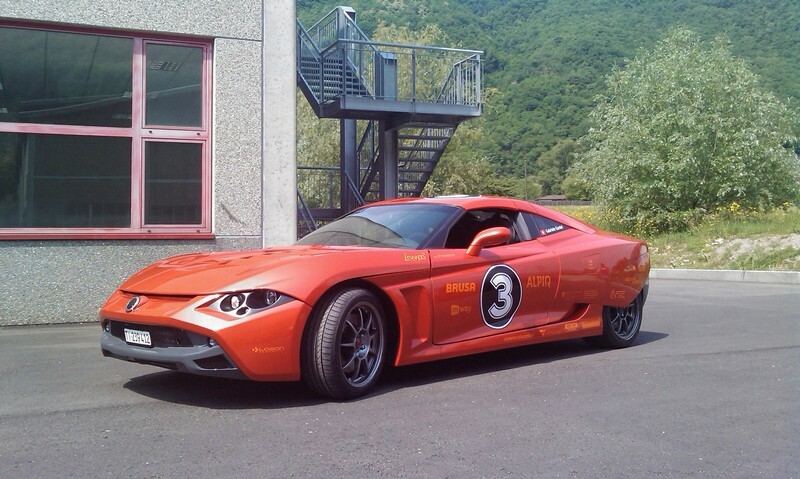 After more than 30.000 kilometers “lessons learned” with its predecessors LAMPO and LAMPO2, tested by more than 500 different drivers (mostly OEM’s engineers) on European roads and test tracks, Protoscar’s highly specialized staff made its dream become truth: the purpose designed 2+2 coupé LAMPO3. 1) For the first time a pure electric 2+2 coupé features a chassis specifically built around the electric components, unlike most OEMs’ EV-chassis, which are adapted from internal combustion versions. LAMPO3 is the worldwide first pure electric sports car being a 2+2 seater and providing enough luggage space and optimized ergonomics. 2) The light weight chassis carries actively cooled batteries, optimally positioned in the central tunnel to improve drive dynamics, safety and pay load. 3) Three motors - of which two on the rear axle and one on the front axle - allow an improved dynamic behaviour of the car and an optimized torque vectoring, not only between front and rear axles, but also between the two rear wheels (the motors actively drive on different adapted RPMs for instance in curves, where the inner wheel turns slower than the outer wheel). LAMPO3 has three electric motors (in fact becoming a four-wheel drive with variable torque between front and rear axle for optimal handling, safety and efficiency) with a total output of 420 kW (equivalent to 550 HP), 900 Nm and 32 kWh of Lithium-Ion battery capacity. 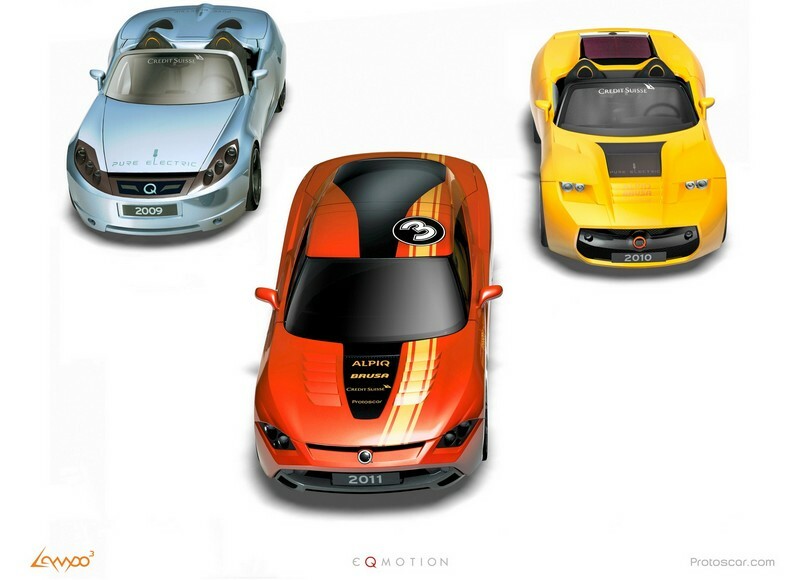 LAMPO3 features real sports-car performances: 4.5 seconds for accelerating from 0 to 100 km/h, 220 km/h of max. speed, and 200 km of range. More than enough energy for driving throughout the whole year is produced by a remote solar plant, allowing a real zero-emission drive..
As the first two LAMPO prototypes, LAMPO3 impressively demonstrates that from a pure performance point of view (acceleration, torque, overtaking, speed, efficiency) pure E-drive is THE solution not only for city cars, but for all other types of vehicles including premium segment cars (the only segment, through which new technologies have been introduced into the market successfully so far). 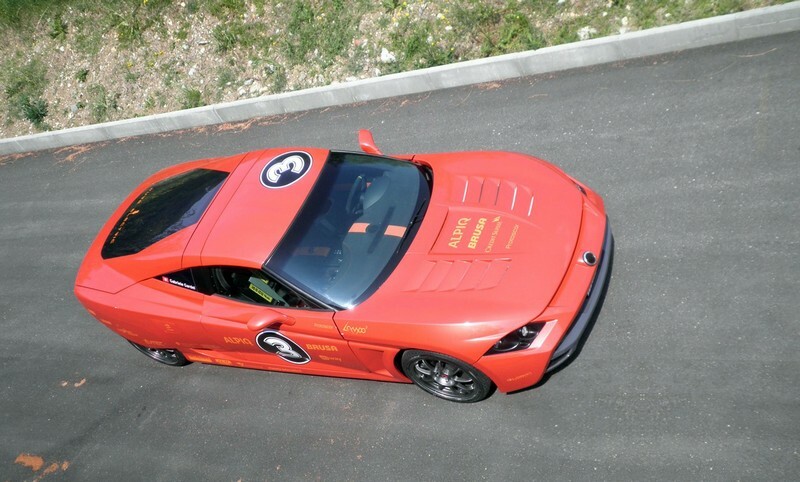 The real performance of LAMPO3 will be demonstrated on different test-tracks during the year 2011 by the winner of the 2010 GT1 24 hours of LeMans, Mr Gabriele Gardel. Catch him … if you can! For the first time a LAMPO concept could be produced in a micro-series for public customers such as companies involved in the EV development, entities dealing with the promotion of EVs and private enthusiasts. 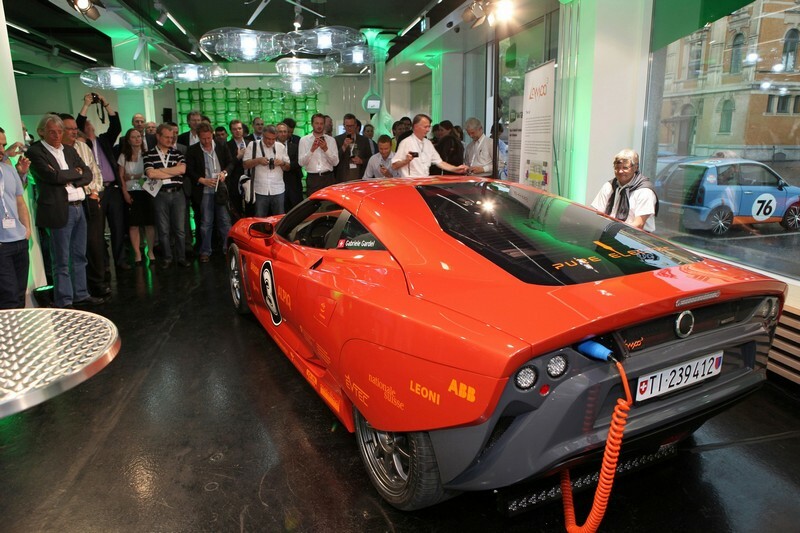 LAMPO3 is equipped with the new BRUSA on-board charger NLG6 allowing up to a 22kW of charging power. Therefore LAMPO3 can be charged with every kind of power actually on the market: from a standard single-phase 10 A plug, up to a three-phase 32A for charging at industrial plugs (fleet users). Moreover LAMPO3 has an interface for DC fast charging based on CHAdeMO standard (www.chademo.com). With LAMPO3 different infrastructure solutions will be tested and evaluated. The Home Charge Device offers maximum safety to charge any compatible electric vehicle, because its hardware and software is personalized to a specific car brand, model, plug (Type 1 / 2 / 3 or CEEPlus Plug) and to a specific national grid. Electric plugs are available everywhere, but not all of them can withstand the full power required by an electric vehicle charger. The HCD allows the automatic adapting according to the limitations of the available infrastructure. The HCD is to be considered as “snow chains”: because it is personalized, it follows the specific car once the car changes to a second user. This is why the HCD is conceived as a mobile device, and can easily be hanged up on the wall (in the garage or outside, since the HCD is conceived both, for indoor and outdoor use). The marketing concept is to offer the possibility of ordering the HCD equipment device and its proper installation at the same time, including a relevant check of the existing electric domestic installation. The ABB DC fast charge station is conceived to dramatically decrease the charging time of electric vehicles. According to the battery type and its status, an additional range of up to 100 km can be achieved within 10 minutes of charging. This charging solution is mainly intended as a range extension, not as a recharge system for full charges, although this would be possible as well (at least between 20% and 80% DOD - according to the battery type and status). The ABB DC fast charge follows the CHAdeMO standard. Two characteristics define this standard: protocol and connector compatibility - both will be made available by CHAdeMO, and no IP will limit the diffusion of such systems. Nissan, Mitsubishi, Subaru, Peugeot, Citroen, Think and Protoscar already support this standard from an OEM point of view. With LAMPO3 we clearly apply a top-down approach, instead of a bottom-up strategy. Traditionally the automobile sector initially shows trendy characteristics in exclusive, premium, vehicles. Unavoidably, at first the price of such products is very high but with growing production the prices decrease, allowing a large number of people to have access to the new technology (in other words the first buyers allow the technology to circulate). However, in the electric vehicles market the strategy is often contrary based on a bottomup approach. This is the reason why electric vehicles are not always successful. In today’s market the majority of the EV promoters try to sell electric cars as a “rational vehicle” and forget the emotional aspects. But as a matter of fact, for most buyers a car is essentially an emotional object and not only a means of transport. The LAMPO3 as well as its predecessors LAMPO and LAMPO2 shall demonstrate that electric drivetrains can be perceived positively and totally accepted if placed and launched in a different way. 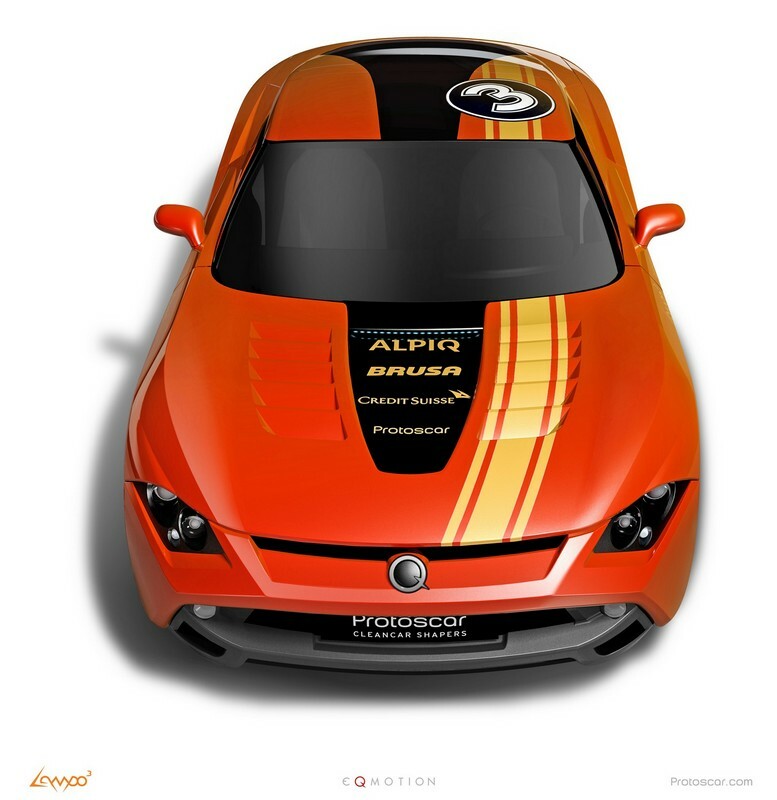 LAMPO3 - “3” because it is not just the third car within the LAMPO project developed by Protoscar, but it is even more efficient than its predecessors and the purpose design chassis represents a huge step forward in terms of design and engineering of sporty Evs. In the Italian language LAMPO means „lightning“. A lightning stands for power, especially for electric energy like the one propelling LAMPO3. Moreover a lightning is fast, intense, impressive and, last but not least, LAMPO3 is a product of nature. 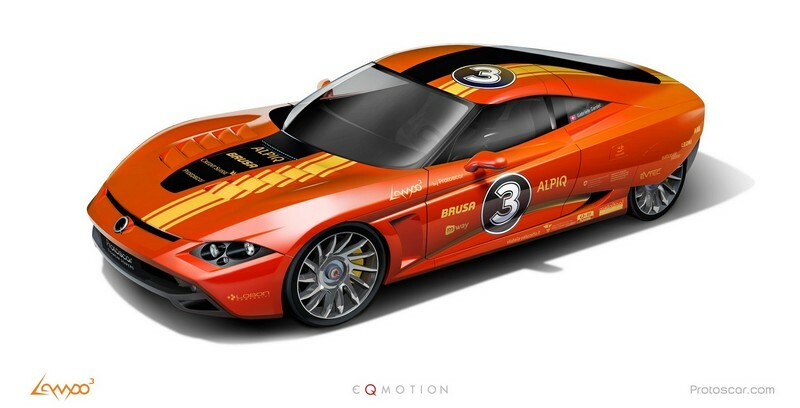 The edgy logo of LAMPO3 with its straight lines reminds the lightening and emphasizes the electric spirit of the car. The Design of LAMPO3 has been inspired from an oblique approach to car design, combined with an essential rule for an extremely advanced, performing and efficient vehicle: form follows function. We took inspiration from the American Le Mans and FIA GT1 series cars, where all the functional aspects of these high performance cars are presented in a stylish way. The general layout of the vehicle, consisting in a shortened bonnet, front wheels close to the cabin, long wheelbase and short rear overhang, helps to give a very dynamic feel to the silhouette of the car. This combined with some “LAMPO DNA” design clues creates the mix that lead to the final design that wears LAMPO3 body. 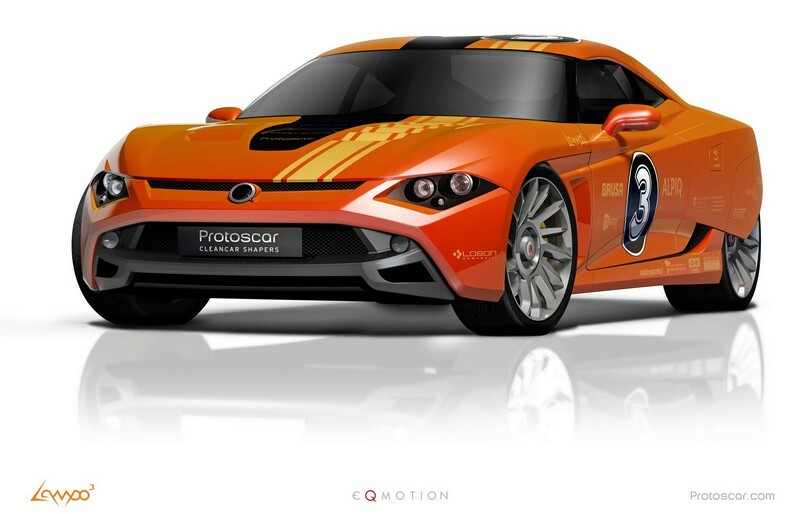 Protoscar SA (www.protoscar.com) is a design company founded in 1987 specialized in CleanCars and based in Rovio (Ticino, Switzerland). It presently employs 14 specialists. 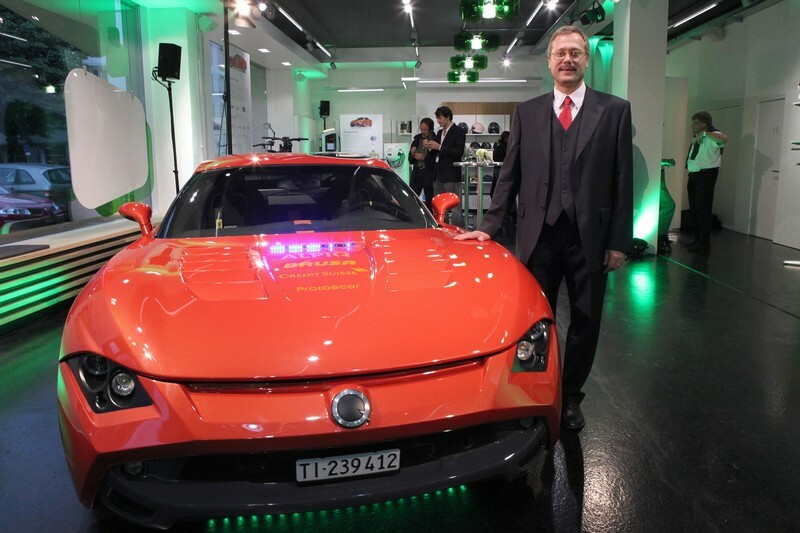 We act like a “Minergie-architect”, but apply the efficiency-concepts to cars, mainly by introducing electrification. 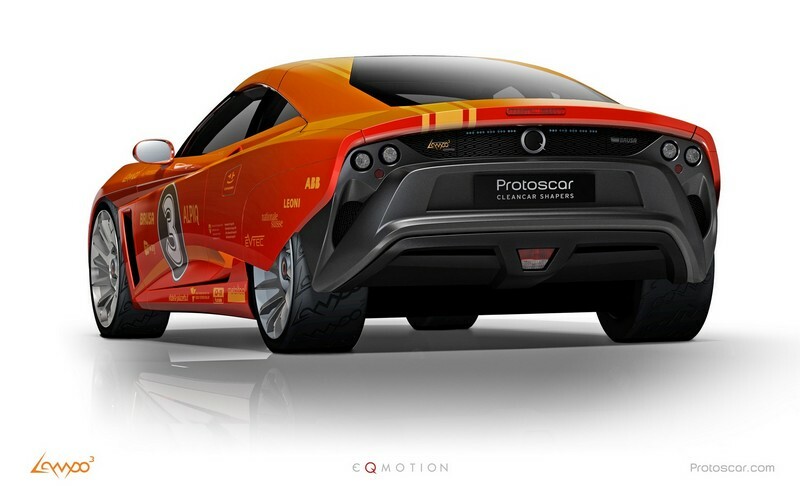 Our unique experiences and holistic approach allow us not only to develop forward looking strategies and outstanding vehicle concepts, but also to support the market introduction of CleanCars and the communication activity of these technologies. We are proud to include worldwide companies like Alpiq, Fraunhofer IAO, ABB, Daimler AG, General Motors, Rinspeed-Esoro and Nissan among our faithful clients. Protoscar would like to thank all partners and sponsors who have allowed such an ambitious project as LAMPO to become reality: In addition to BRUSA, which supplies the components of the whole drive train, the main partners and sponsors of LAMPO3 are ALPIQ (leading Swiss company in power generation and distribution), ABB (DC fastcharging technology), Credit Suisse (one of the world’s leading financial services providers), m-way (future distribution) and the Swiss Federal Office of Energy as well as the technical partners Metaltool, Q11, EVTEC, BASF, Nationale Suisse and Leoni. and providing enough luggage space. different adapted RPMs for instance in curves, where the inner wheel turns slower than the outer wheel).